So according to this article, I’m what’s known as a ‘Xennial’, which is someone born between 1977 and 1983. 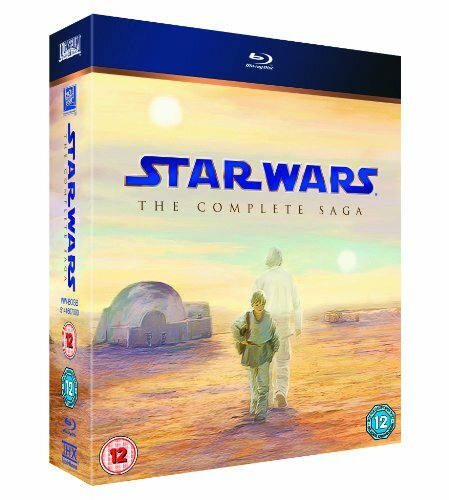 Funnily enough, that fits perfectly with the release of the original Star Wars Trilogy, which is fine by me! Star Wars has always been a big part of my life, and I remember playing with the action figures, although I don’t still have them unfortunately. In my teens I had the trilogy on VHS before the special editions, and would regularly watch them if the school bus wasn’t running, or if I was ill. Years later, at art college, I had a poster of the original movie from Athena on my bedroom wall. 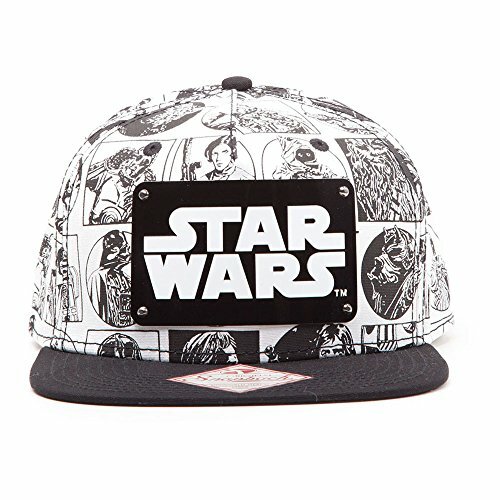 The thing about Star Wars, that still stands up even today, is that the story takes you on a journey. Luke Skywalker is one of the greatest characters in cinema. He starts as a lowly farm boy, and ends up saving the galaxy (take a look at the video below for one of the character defining moments, right at the end of Return of the Jedi - Ps. Spoiler Alert!). Many of the tropes and clichés in modern cinema can be traced back to Star Wars, which itself is heavily influenced by a lot of Japanese cinema, and epic sagas like Ben Hur. Last year, I was super excited to go and see the Star Wars Identities exhibition at the O2. It was amazing to see all the props and costumes from the movies. As you can imagine, I took a lot of photos! I’ve only posted a small selection of some of my favourites below. I spent a long time there taking it all in! Travel has been a part of my life for as long as I remember. Both my Mum and my Dad worked for British Airways when I was growing up, and as such, we would travel to a far flung place each year. By the time I’d turned 6 years old, I had clocked up quite a few miles in my Junior Jet Club journal! My love of travel is still strong. I always trying and get a window seat, and have amassed hundreds of photos of aeroplane wings out of windows. I’m so thankful of the experiences I had travelling the world as kid, although there’s a part of me that wishes I was able to appreciate it as much at the time, but then I was very young. A couple of the highlights pictured below are Hong Kong and Thailand (I’m the taller one, the other one is my little brother Stewart - Also how epic is my Dad’s moustache?). 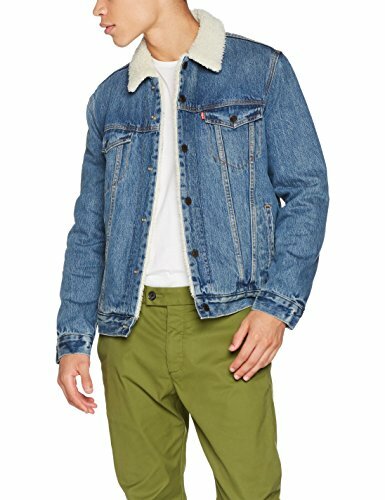 A good example of how I’m embracing my childhood is through clothing. I went to New York for the first time this year, and made sure to grab an I <3 NY T-Shirt, the entire time remembering having a Hong Kong equivalent. On the subject of Hong Kong, there is one thing that makes me sad. Flying into the old Kai Tak airport I was all excited for the landing, but after a very long flight, my tiredness got the better of me and I fell asleep. My parents tried to wake me up, but to no avail. I woke up just as we touched down, missing it all. What’s even worse, is that I was offered the chance to watch from the cockpit! A once in a lifetime opportunity missed, and since the airport is now closed, and people aren’t allowed in cockpits, never to be repeated! Booooooo! If you’ve never seen the Kai Tak landing approach, check this video out! For around 4 or 5 years, my parents invested in a house in Florida, just outside Orlando. Property prices back then weren’t what they are now, and I think it worked out costing them less than the price of a new car does today. They rented it out for 50 odd weeks of the year, leaving it empty for 2 weeks for us to have our family holiday. It made everything cost effective with their British Airways flight concessions covering the travel, and with rental income more than paying for our accommodation. I wish I had my dad’s financial acumen! Haha! I remember going back to school after the first time we’d been to Disney World, and everyone swarmed around us to find out what it was like. People didn’t travel as much as they do now, so for a day or so, we were the talk of the school! Some of my favourite Florida holiday memories are breakfast at Ponderosa or IHOP, and playing Pirate crazy golf on International Drive. I also need to mention Stouffer’s all you can eat sunday brunch. Apparently, this is now the Renaissance Hotel Orlando Sea World apparently. It was amazing! There was literally every kind of food you could possibly imagine, along with chefs to make you eggs or omelettes etc. Each buffet table was adorned with some kind of ice sculpture, making it not only taste amazing, but also visually theatrical! Growing up in the 80’s, there was so much focus on the world of tomorrow. The year 2000 was ‘the future’, and we would have flying cars and all sorts by then! Space travel was cool and the Space Shuttle was in it’s heyday. I was actually really lucky to see Atlantis on it’s launch pad a few days before it went off on a mission (pictured below). One of my favourite TV shows was Tomorrows World, where we’d get demonstrations of all the latest tech. Click here for an epic example of 1980’s TV and the early stages of digital cameras! One thing that I remember vividly on a trip to Florida was visiting the Xanadu Home of the Future. This thing blew my mind! It looked like a UFO had landed from the outside, and featured a whole host of home automation inside, all controlled by Commodore computers! It’s funny how it’s only now that home automation is becoming an actual thing with things like Siri, Google Home and Alexa. 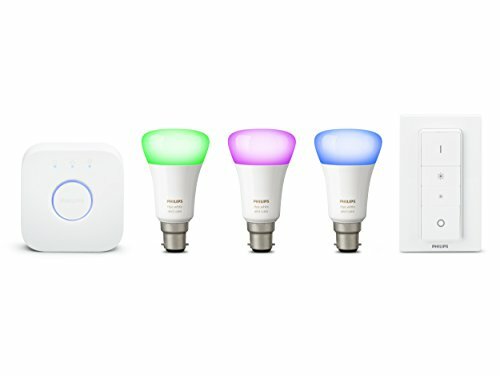 I switched to Philips Hue lighting last year, and I’ve felt a little closer to my childhood dreams ever since! 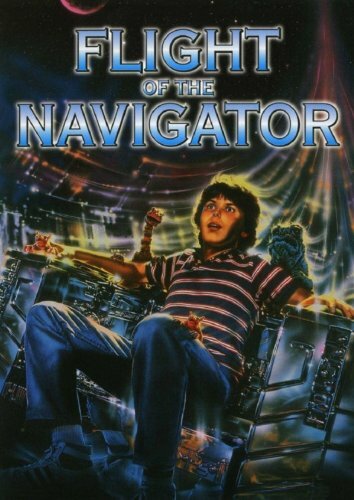 With all the focus on the future and space travel, science fiction obviously was another big part of my childhood. I’ve mentioned Star Wars already (although that’s technically ‘science fantasy), but I also loved things like Star Trek as well as movies like Flight of the Navigator, which was one of Sarah Jessica Parker’s first big screen appearances.Somewhere I have a photo of the space ship models from the backlot tour at Disney, but I haven’t been able to find it. I shall keep hunting next time I’m at mum and dad’s! As much as I spent time in the summer climbing trees and riding my BMX down the middle of the road no handed with no helmet, it’s the tv and movies that define much of my memories. Saturday afternoons had some epic viewing, with shows like The A-Team, Airwolf, Streethawk and the like. 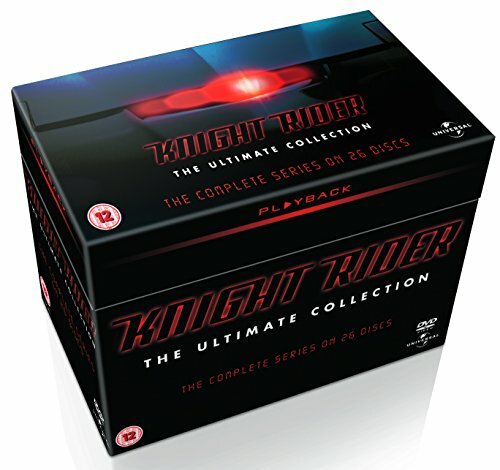 My favourite, however, was Knight Rider. I wanted to be Michael Knight, and have a car like K.I.T.T. that would talk to me and go super fast, and be all black and bulletproof. Knight Rider had everything! Pictured below is me sitting in K.I.T.T. at Universal Studios. 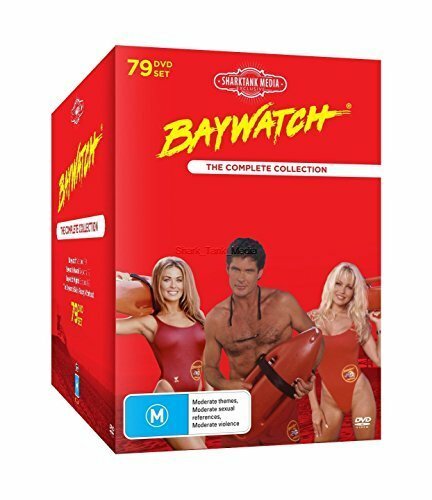 That 9 year old me was ridiculously excited when, a few years back, I was shooting David Hasselhoff in his Baywatch gear (another important tv show from my childhood), for the promotion of a new mobile game. They say you should never meet your heroes, but he was awesome. Following the theme of awesome future based tech inspired movies, Back to the Future is another trilogy of epicness! Even now it has cult status, and made the Delorean an iconic car. Back in 1989 on the Universal Studios backlot tour, we were taken through the Hill Valley set from Back to the Future II! A couple of years later, I also got to see the real car and train from the movie at the opening of the new Back to the Future simulator ride. This is still one of my favourite movie trilogies, and even the opening notes of the soundtrack make me excited. My text message alert is actually the chime sound from when something changes in the movie. The last movie I’m going to talk about (and believe me, I could talk about many many more!) is Ghostbusters. Sometimes I forget how good this movie is. 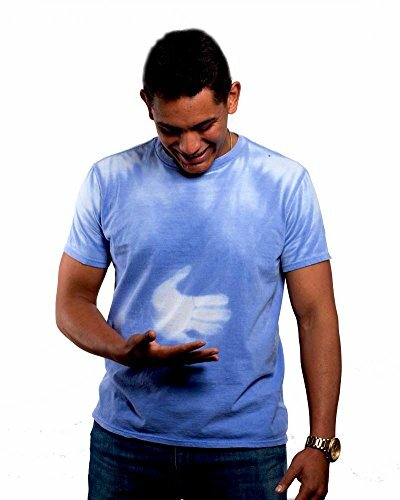 It has just the right balance of action, seriousness and humour. I could listen to Bill Murray’s quips all day, and combined with Dan Ackroyd’s childlike excitement, this movie has everything… oh and there's a giant marshmallow man. I will say though, the Terror Dogs scared the crap out of me as a kid! Whilst in New York, I had the morning before my flight home to see as much as I could. The first thing I did after I left the hotel was to seek out the Ghostbusters Fire Station. Searching out these little snippets of my childhood is so much fun, and it’s made me want to find more movie locations from some of my other favourite films. Saturday morning TV was a huge deal growing up. I don’t understand how it’s not a thing anymore. There was also the 2 hour slot in the afternoon of children’s entertainment between getting home and dinner time that was also a reason to rush home from school. 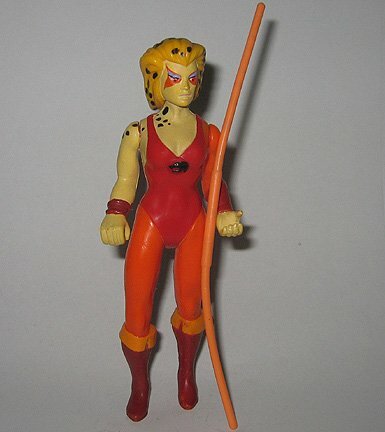 Fun fact, the first girl I fancied was Cheetara from Thundercats. Not sure I should admit that, or even if I knew what those feelings meant at the time, but then I figure if people can fancy Jessica Rabbit, I can fancy a half human half cat cartoon character right? They were both hot though. Much like with the movies, I could go on and on about cartoons like Transformers, M.A.S.K, Centurions, The Mysterious Cities of Gold, or even marionette shows like Star Fleet or Terrorhawks, but there’s one franchise that I became obsessed with as a kid… Teenage Mutant Ninja Turtles! First amusing thing I should mention is that in the UK, the powers that be decided that the word ‘ninja’ was far too violent for British kids, and the cartoon was subsequently renamed as Teenage Mutant Hero Turtles! 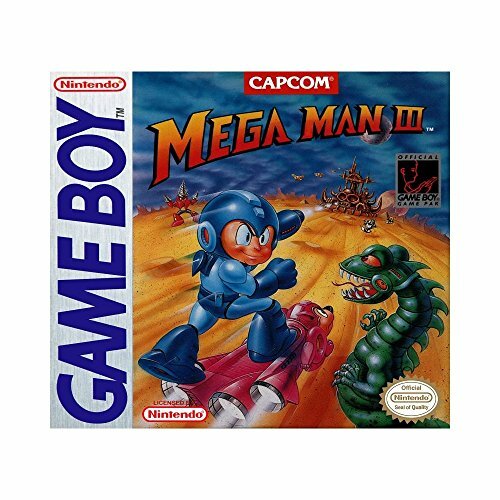 I still find this decision to be ridiculous, considering at the time I was running around with realistic looking cap guns and Tom & Jerry was considered fine for kids. Like any great franchise, TMNT was made into a full movie, and at the time, I became obsessed with it. Because Dad spent his life travelling the world, he would often bring back things we couldn’t get at home, or things that were released abroad before they were out in the UK. One of the things that we loved was getting new movies on VHS before they were even in the cinema here. I think I must have watched TMNT about 50 times that summer, much to the annoyance of my parents! I haven’t watched the rebooted movie from 2014 yet. I may have to do that in the next few days. I’m always sceptical of the these remakes and reboots. They’re rarely anywhere close to as good as the originals. I know for a fact that they won’t have a soundtrack anywhere near as good as Teenage Mutant Ninja Turtles 2! 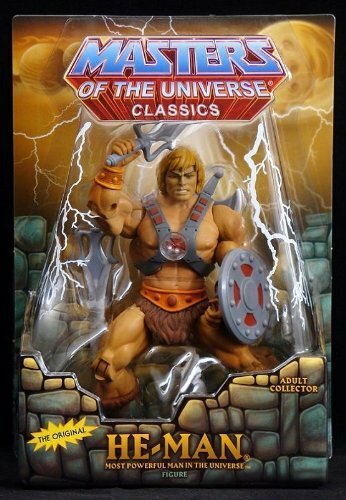 Obviously toys were a huge part of my life growing up, and throughout the 80s, there were various must haves, that sold out as soon as they hit the shelves and became impossible to get. For the most part these were things that didn’t interest me, like Cabbage Patch Kids and Furby’s, but the Teenage Mutant Ninja Turtles action figures were a serious exception! On one of our trips to America, we hunted literally everywhere for these figures, only to be greeted with empty shelves. Finally, on the last day of our holiday, we were in Target at just the right time as they were putting out a delivery. My brother and I got our Turtles, yay! I remember the woman behind us at the checkout loading up the conveyor belt with what must have been the rest of their stock of these figures. It was crazy! Other TV inspired toys of note included the aforementioned Centurions, Terrorhawks, Action Force, Transformers, M.A.S.K, Thundercats, and Ghostbusters. I was also a huge Lego fan, especially Lego Technics. I spent hours building a crane once, with pneumatic lifting arm and a winch. It was a wonder to behold! It’s important to note that my parents were very adept at saying ‘no’ to me a lot of the time. Some notable examples of things I wanted, but never had, were the Thundercats Lair and a Mr Frosty. I did have a Sodastream though, so I really can’t complain. For some reason, Mum was under the impression that the thick sugary syrup we added was healthier than buying Coca-Cola or 7up. We had a computer in the house for about as long as I can remember. My dad used to enjoy playing games on the BBC Micro, and it got me gaming with titles like Labyrinth and Repton. Later, I had my own computer in my bedroom thanks to buying a 48K ZX Spectrum from a friend and playing things like Daley Thompson’s Decathlon and He-Man (a text based adventure game). It’s amazing to think if we wanted to play a game, it involved about 45mins of loading via a cassette tape! That was the extent of my gaming technology until I reached around 10 years old, when I entered the world of 8-bit gaming! 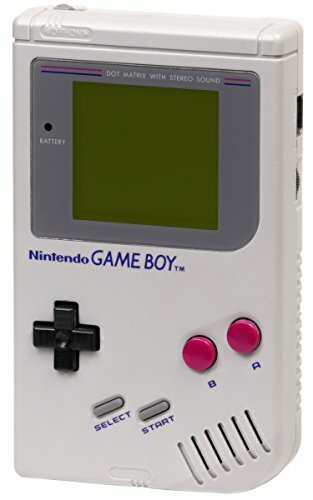 I loved my Nintendo Gameboy, and I’m proud to say I still have it! Whats more, it still works (after a little bit of disassembly)! 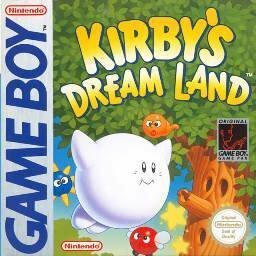 My favourite games were Super Mario Land 2, Kirby’s Dreamland, and Megaman III. 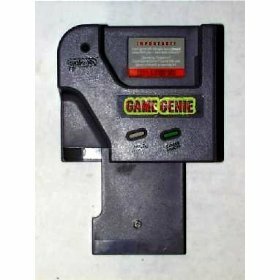 I also had a Game Genie, which enabled me to use cheat codes and all sorts. I took it everywhere! I still own all my old games, and I’m planning to raid mum and dad’s attic for them when I’m back there in a few weeks! As I mentioned before, one of the perks of Dad’s job is that he would bring us back things from around the world. Movies was one, but growing up, our footwear game was strong! 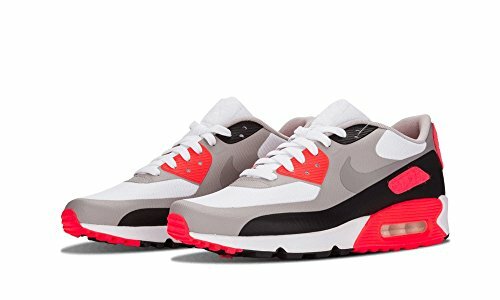 It amuses me to see people wearing Nike Air Max 90’s today, when I had them back in 1990! Nike Air was a new thing back then. The idea of having an air bubble in your sole was from the future! 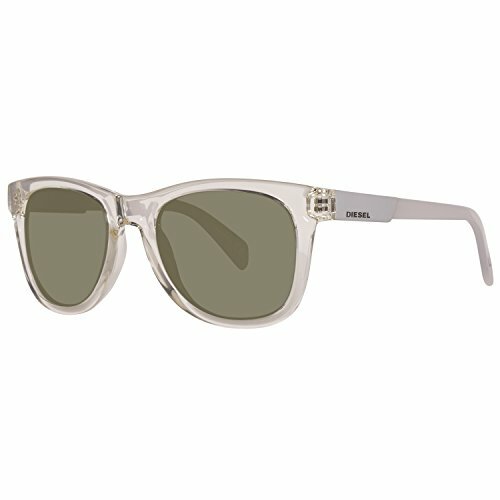 The first time me and my brother wore these to school, it was a similar reaction to when we came back from Disney World! The other kids asked questions like ‘can you even stop when you’re running now?’ or ‘are you as fast as Linford Christie?’ It’s quite funny looking back! I wore my Air Max 90’s to death. 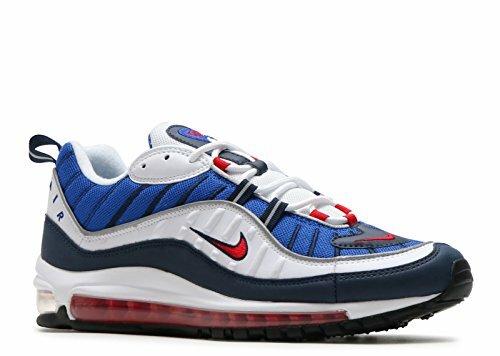 8 years later I had some Air Max 98’s, which were super comfy. 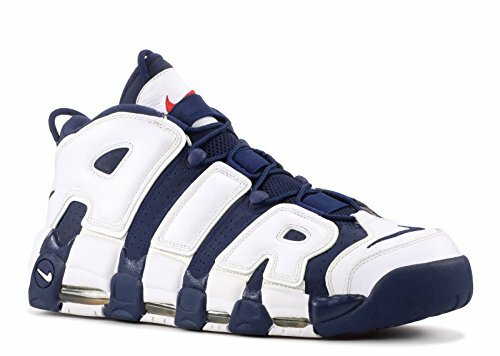 In between, there were some purple Huarache’s and some outlandish Air More Uptempo’s that I kind of want to get again in all white while this ugly trainer trend is going on. 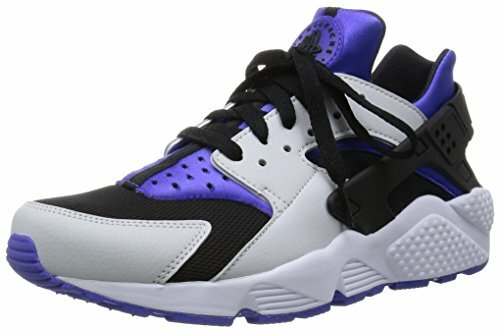 A few pairs I wanted but were denied by the parents were Reebok Pump, Puma Disc, and LA Lights. That being said, I did have some LA Gear Regulators at one point, which were basically the LA Gear equivalent to Reebok Pump, so again, I can’t complain too much. The first song I ever owned, and I’m not proud of this, was John Kettley is a Weatherman by A Tribe of Toffs. 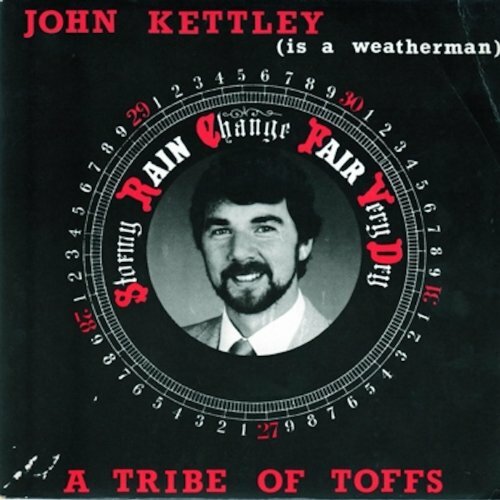 For those who don’t know, John Kettley, as the title suggests, was a BBC Weatherman. I had this on vinyl, and played it quite a lot. It referenced several other BBC Weathermen, as well as many celebrities of the day. Thankfully, there was never a personal stereo invented for vinyl, and for my birthday in the late 80’s I was super excited to get my first cassette player. Rather than get an actual Sony Walkman (although I had one years later, along with a Discman! ), I chose a Toshiba KT-4028. This was an AM/FM Radio Cassette Player that had a 3 band graphic equaliser. It actually still sounds pretty awesome! I forgot that belt clips were totally a thing back in the day. In a world where most ‘pocket’ things were too big to actually fit in a pocket, we would have to clip them onto our belts and wear them with pride for all to see. 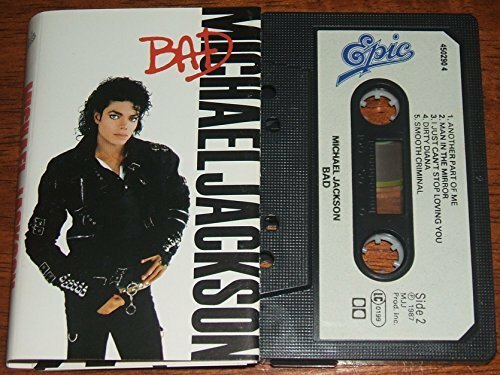 My favourite album, and one that got played on repeat was Bad by Michael Jackson. I was a huge MJ fan at the time… like seriously! At Disney, I loved the Francis Ford Coppola directed Captain EO 3D movie, and back in my dancing days, I ended up doing some workshops with one of the dancers from Captain EO. I had a poster and bedding set with the Bad artwork on it, and went to see Moonwalker at the cinema. It’s a shame I never got to see him perform live however. I’ve posted the full Bad video below. Directed by Martin Scorsese, the 18 minute long West Side Story inspired short film features a largely unknown at the time Wesley Snipes. So there’s a small slice of some of the things that have contributed to who I am today. I’ve been really enjoying this trip down memory lane, especially revisiting some of the items I haven’t touched in years. This whole thing was actually inspired from a Pinterest board I created one night randomly. For some reason I just started pinning things, and before I knew it, this board was over 700 pins strong! You can check it out below, and I’ve also added a load of links to the majority of the stuff I’ve talked about in this post. I’d love to hear about some of the stuff from your childhood. Make sure to comment below and we can be nostalgic together!